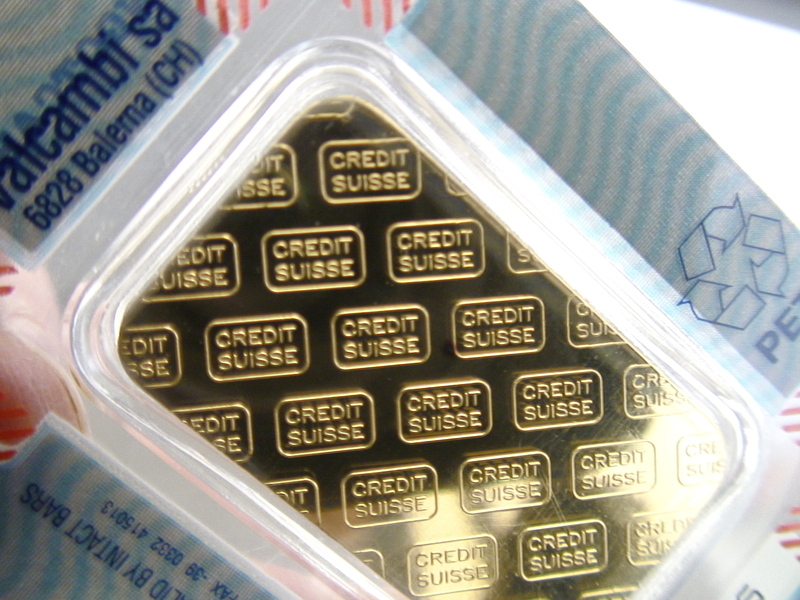 Swiss gold bars are arguably the most recognizable form of bullion. Do you need to bolt out of the country with your capital in your hands? Swiss gold bars were designed for this. 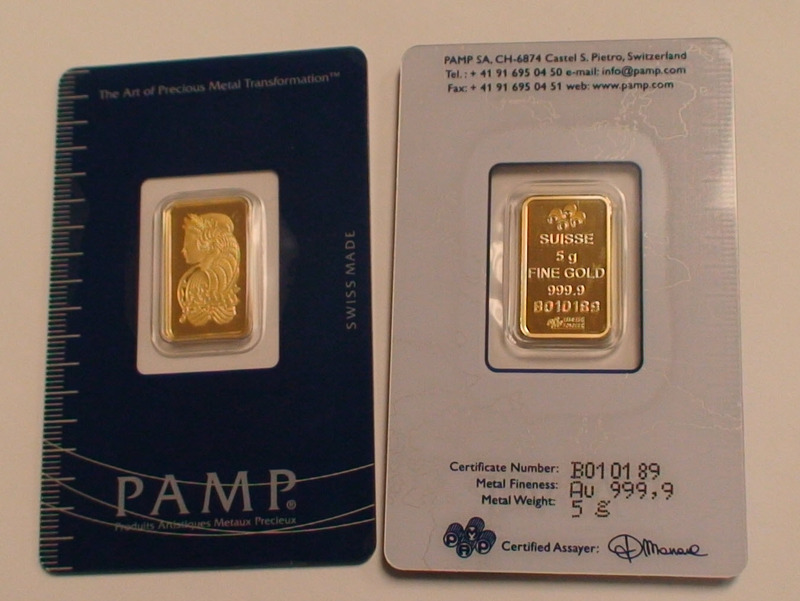 Swiss gold bars are gold bullion presented in an easy to transport and store format. They vary in size from 1 gram to 10 ounces troy, and are of uniform dimensions. That, combined hard to duplicated, sharply defined minting features, makes this bars instantly recognizable as gold. Very few people, even people with no exposure to precious metals will right away recognize Swiss gold bars as being made of gold. In precious metals, “Fineness” refers to how pure the precious metal is. This can be defined by “Karat”, “Parts per 1000” or “Parts per 10,000”. All Swiss gold bars are 24 Karat (24K). All modern Swiss gold bars are 999.9 pure. That means 9,999 parts out of 10,000 parts are gold. That is extremely pure. Older Swiss gold bars range from 995 to 999 pure. That means 995 to 999 parts out of 1,000 parts are gold. That is extremely pure too. Both of this companies are highly reputable precious metal refiners, produce silver, gold, platinum and palladium bullion for organization all over the world. They are accredited with the LBMA (London Bullion Market Association) and other similar precious metal leaders. The next time you handle a gold bar, pay attention to its minting. Most likely is a branded bar, but the manufacturer will be noted. Precious metals are all about certainty. The more certainty the better. At this, Swiss gold bars score an “A+”. Hard to duplicate unique design feature minted onto the bar. PAMP bars feature “Goddes Fortuna”, the goddess of fortune. Gold Swiss bars have strictly intrinsic value of the gold value. They have no numismatic value. So their value does not deviate much from the international price of gold. That being said, the smaller gold bars will have high relative discount and premium rates, and the larger gold bars will have smaller relative discount and premiums. 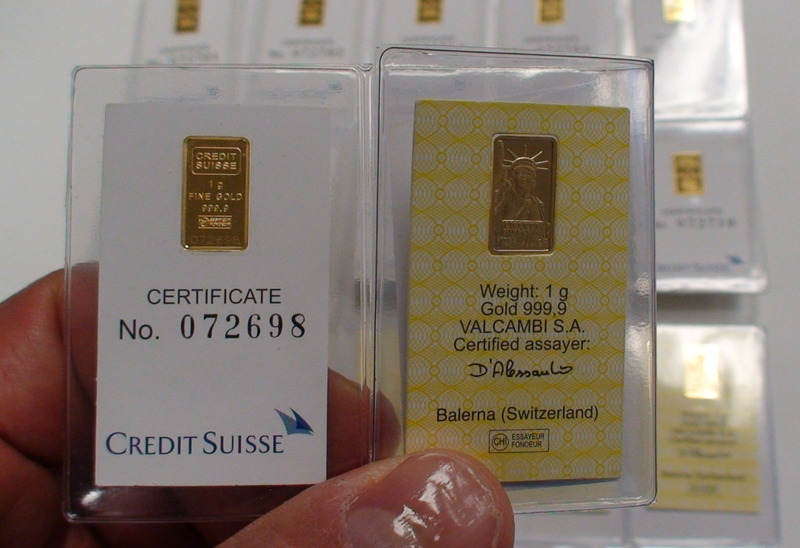 Swiss gold bars range from 1 gram to 10 ounces. Below are the most common sizes.